Encountering a wild elephant voluntarily bending on its knees to allow a human to ride on its back, that would be special. A wild lioness sauntering up to a human and presenting her new born cubs to be petted and played with, that would be special. A wild cheetah leash in mouth, begging to be taken on a walk, that would be special. In fact any hands-on encounter with a wild animal actually in the wild would be very special indeed. So why is it that wild animals in captivity are so amenable to poking, petting, camera snapping, noisy tourists? The fundamental word here is captive. The harsh reality behind all of these encounters is that the animals have been raised and conditioned in captivity, and generally from a very early age. Whether captive bred or stolen from the wild (yes stolen, the rest of the family members would be murdered in order to access the young) their natural instincts remain. Wild animals are naturally fearful of humans, this fear can lead to aggression if we venture too close and if you come between a mother and her young you will be certain to feel the full extent of their wrath. Elephants have their spirits literally beaten out of them until they become totally submissive to their trainer(s). Their limbs are tied with ropes and pulled into unnatural positions, bullhooks and cattle prods are used on the most sensitive areas of their bodies to force them to do ‘tricks’. Often they are starved and will only be fed if they perform, this comes under the guise of ‘positive reinforcement’. At any elephant encounter you can be sure that the keeper will have with him a bullhook or other such implement to coerce the elephant to do as he/she wishes. Despite the thickness of an elephants hide, it is also extremely sensitive to pain. Lions and tigers are kept as breeding machines, their cubs removed at birth to be hand raised by volunteers paying vast amounts of money for the privilege. These cubs are then subjected to hours of manhandling by the paying public on a daily basis. When lion cubs grow too large and boisterous to be petted by children they are used for ‘lion walks’. Again, they are beaten in order to become submissive to their human ‘owners’. A sharp rap across their sensitive noses with a stick inflicts sufficient pain to keep them in check. Those that do not bow to their masters have a far worse destiny. Some are drugged to keep them docile so that tourists can ride on their backs and pose for photographs. The rest are kept in small enclosures to await their certain death. Trophy hunters pay big money to bag a lion and one which has been conditioned to accept humans and has no place to run makes a nice easy target. Virtually every facility that offers lion cub petting will be hiding the more sinister business of ‘canned hunting’. Ostrich racing is also a cruel form of entertainment. No wild animal was naturally designed to carry a human on its back and this is especially true of birds and yet they are forced to carry up to half their 150kg weight on their backs. Herded into a pen with a bag thrown over their heads the rider then jumps on and grabs hold of the wingpits. Released, the birds then run in a frenzy with the rider clinging on to their sensitive wings. Not only is the practice cruel for the ostrich it is also incredibly dangerous for the rider. Ostriches can be unpredictable and are capable of delivering a hefty kick or nasty bite if they feel threatened. There is also the danger of falling off a bird running at 40km/h and no one is going to offer you a helmet. Primates, the most intelligent mammals on earth are possibly the most exploited. Bred and traded as pets, trained to act in movies, forced to perform tricks for the public, experimented upon and in some countries (including South Africa), eaten. Primates are communal animals with complex social structures. Removed from their family groups they suffer severe psychological stress. Asia in particular has an appalling track record of using primates as photo props and much worse. Dressed as dolls they are forced to ride bicycles, walk on stilts and perform other tricks whilst begging for money. Their training involves fear, restraint and beatings. In South Africa the primate of choice for entertainment is generally the lemur. With their big eyes and soft fur they are undeniably cute. However, lemurs too are social creatures that mostly live in large family groups, they also have an inherent fear of humans. There is only one reason a lemur would want to curl itself around your neck or sit on your lap, it wants food. So one would question, is the lemur ever given the opportunity to feed as it does in the wild, or does it have to resort to begging from tourists? Bird parks are also a big attraction, South Africa is home to a vast array of big and colourful birds; flamingos, cranes, storks to name but a few. However to keep them enclosed is an expensive business, far cheaper to cut a wing off to prevent their escape. ‘Pinioning’ is a procedure practiced worldwide as a way of keeping these larger birds and water birds in particular, in open enclosures. As they are not so easy to catch, the trimming of feathers on a regular basis to prevent flight is not an easy option. Therefore part of one wing is amputated, cut off at the elbow. This renders the bird permanently unable to fly. It is done with a pair of scissors and normally without pain relief. All birds with wings were meant to fly, however it is common practice to deny them this freedom so that humans can keep them where they want, their beauty to be viewed at leisure. Most birds are kept in cages, many far too small for the bird’s needs. Those on public display may be allowed out to sit on perches to allow photo opportunities. All of these birds will have had their wings clipped, a process of cutting the flight feathers to prevent the bird flying away. Flight depravation denies a bird to carry out its normal behaviour and is in effect the same as keeping a human in shackles. There is a seemingly endless list of the types of animals currently used for human entertainment and together with welfare issues there is also a great danger to the public and indeed, their keepers. No matter how well a wild animal is conditioned or trained, they will always retain an element of their former selves which can manifest itself at any time with dire consequences. There are many, many reported incidents where people have been crushed by elephants, mauled or even killed by lions and tigers, and the seemingly tame cheetah is also capable of inflicting serious injuries. Monkeys too are unpredictable and it is known for lifelong pets to suddenly turn on their ‘owners’ inflicting horrendous injuries. Birds have remarkably strong beaks and parrots in particular can deliver a vicious bite. Whatever the animal, there is always a risk, that cute lemur…check out its teeth! Many of the establishments offering animal encounters will often do so under the guise of conservation. It is extraordinarily difficult to release any animal or bird back into the wild and once they have been imprinted by humans it is virtually impossible. White lions and tigers are not ‘endangered’, they carry a defective gene and would never survive in the wild, they were never meant to. There can only be one reason to offer these attractions and quite simply it is to make money. The industry is controlled by greed and greed is acting like a disease which threatens to become an epidemic and the threat to our wildlife is becoming irreversible. We are failing our wildlife on a catastrophic scale and already the world has lost 52% of its wildlife over the last 40 years. 1600 Elephants are currently kept captive throughout the world. That is one quarter of the total elephant population. 124 elephants are currently used in South Africa for entertainment. 100,000 elephants have been poached in the last three years. More elephants are being poached than there are natural births. If this rate continues, elephants could become extinct within the next 20 years. In 1980, more than 75,000 lions roamed the Africa continent. Today, less than 25,000 wild lions occupy 23% of the territory that they once inhabited. There are currently about 2800 lions living wild in South Africa, however 5000 lions are bred every year to satisfy the cub petting and hunting industries. There are around 5000 lions held captive in the USA alone, but there are only 3200 wild tigers in Asia. Almost one third of the world’s parrot species are close to extinction due to habitat loss and illegal trapping. It is estimated that the amount of birds taken illegally from the wild for the pet trade runs into millions. 60% of these birds die before reaching their destinations. The illegal trade in CITES listed birds is worth an estimated -8 billion a year, this is on par with the illegal arms and drugs trade. The trade in wildlife is big business, generating billions of dollars annually but only a fraction of that money finds its way into conservation projects, with the rest ending up in the pockets of unscrupulous business people, corrupt officials and illegal traders. What is even more horrifying is the fact that we are fast approaching a time when the only place to see wildlife will be in captivity. Thankfully, responsible tourism can make a vast difference. By shifting the focus away from establishments that exploit our wildlife and concentrating on those that actually do play a part in conservation. A close encounter with a wild animal at a petting zoo may be a thrilling experience but it pales into insignificance against the adrenalin pumping experience of spotting a rare animal in the wild or watching the antics of animals behaving naturally. Tour companies are already taking note and listening to animal welfare groups, already 30 international tour operators have removed elephant trekking from their list of available activities. We need to expand on that and refuse to support establishments that exploit animals for their own monetary gain. It is our duty to educate and guide our visitors. South Africa welcomed over 9 million international visitors last year, if each of those people were educated into the ugly truth behind the petting industry, the word would spread. If more money was channelled into true sanctuaries, conservation projects and genuine breeding programs there just maybe a chance that we can play a positive part in increasing wildlife populations. 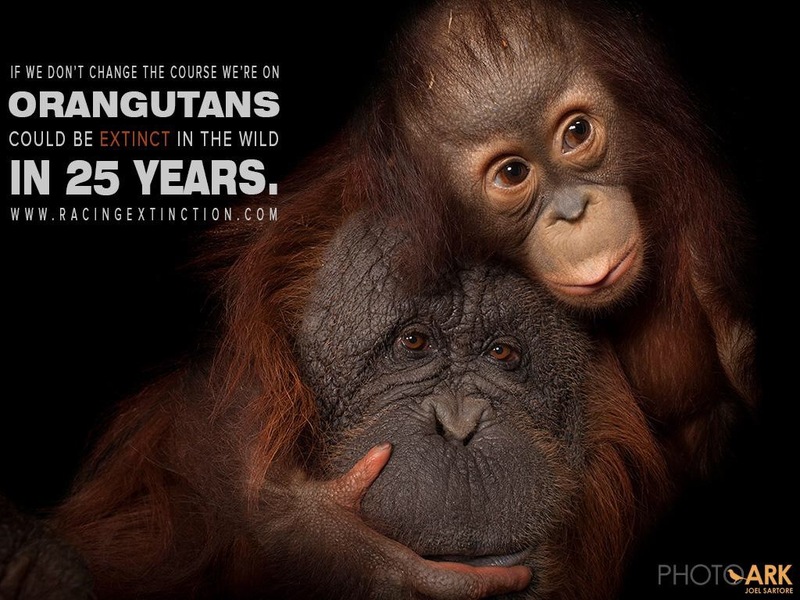 Wildlife, it belongs in the wild….lets help keep it there. Ostrich racing is also a cruel form of entertainment. No animal was naturally designed to carry a human on its back and this is especially true of birds and yet they are forced to carry up to half their 150kg weight on their backs. Herded into a pen with a bag thrown over their heads the rider then jumps on and grabs hold of the wingpits. Released, the birds then run in a frenzy with the rider clinging on to their sensitive wings. Not only is the practice cruel for the ostrich it is also incredibly dangerous for the rider. Ostriches can be unpredictable and are capable of delivering a hefty kick or nasty bite if they feel threatened. There is also the danger of falling off a bird running at 40km/h and no one is going to offer you a helmet.